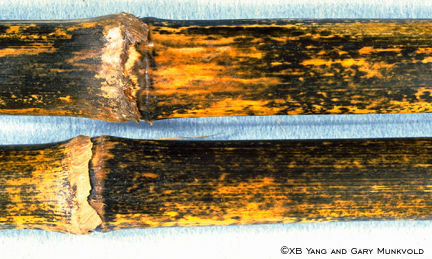 Anthracnose symptoms may appear at the stalk base or on the upper stalk. Iowa State University Entomology Department. Last modified May 15, 2002 by John VanDyk.